I longed to do this design for a while (well - since I began doing Reaverbots) and I love how it turned out so much. 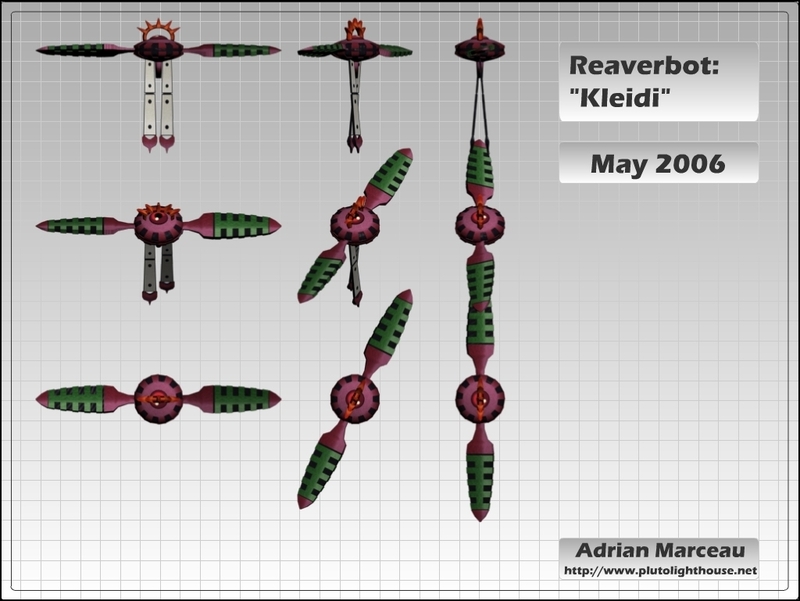 Just like the Kouneta was - I was unable to find an official name for it - so I pulled its name from the greek word for key and thus we get Kleidi. As far as design goes I think I pulled it off almost perfectly. While there may be a few flaws it came out almost identical to the concept art in my eyes. The colours are vibrant and they really give that rainforest feel (which could have totally worked in a Rainforest-esque ruin) and overall I think it turned out very well. I plan to use this in a scene/environment someday so keep your eye out. Whatcha think?